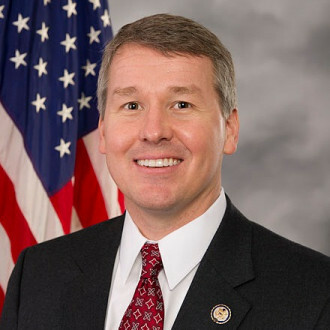 Congressman Rob Woodall serves the 7th district of GA in the U.S. House of Representatives and serves on the House Committee on Rules, the House Budget Committee, and the House Transportation and Infrastructure Committee. The Congressman was born and raised in Georgia, graduated from Marist School in 1988, attended Furman University for his undergraduate degree and received his law degree from the University of Georgia. He first came to public service as a staffer for then Congressman John Linder serving as his Chief of Staff and was elected to Congress in 2010. Congressman Woodall's political philosophy is guided by the principles of freedom, and his proudest accomplishment is helping Seventh District families one at a time through casework and creating a Congressional office that functions for the people.